How Much Chaga Tea Should You Drink Per Day? When is the Best Time to Drink Chaga Tea? Are There Side Effects Of Chaga Tea? What Is The Correct Chaga Tea Dosage? 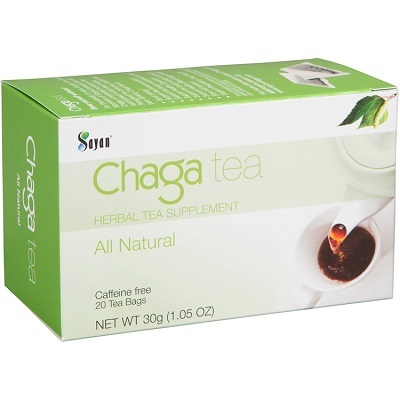 Our Recommendation: Begin by trying one cup of chaga tea as a morning beverage. When you become more familiar with its taste, progress to three cups a day: Morning, midday and evening. That is the recommendation for adults in generally good health. If you have pre-existing medical conditions or are taking any medications, please consult with your doctor before beginning a regular regime of chaga tea. For children or adults over the age of 60, consider fewer cups per day starting with 1/2 cup to one cup in the morning. Begin with a small amount. See how your body reacts. If you’re comfortable you can begin increasing the amount, but listen to your body. To our knowledge, no official studies have been conducted relating to the daily dosage amounts of chaga or chaga tea. However, a number of animal studies have been conducted using similar amounts and many studies have found positive benefits. 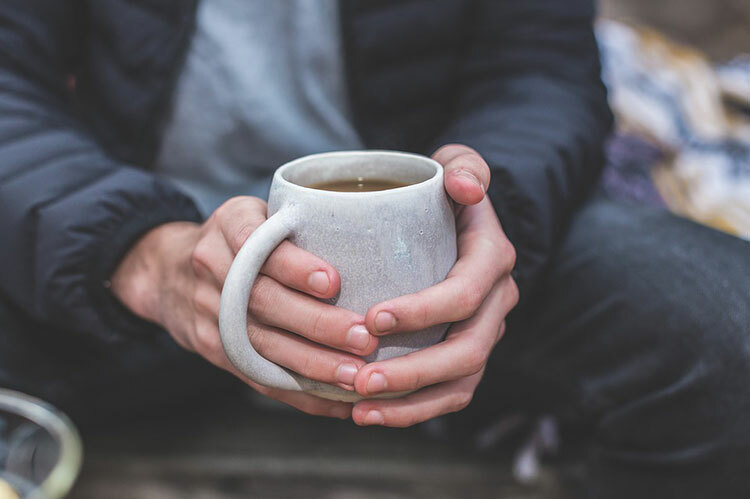 A recent study found that mice taking chaga in varying amounts over a 14-day period saw an improvement in their fatigue levels with no toxic effects. In another, mice taking chaga over a 4-week period saw the benefits of chaga as a hypoglycemic functional food. One more tested the effects of various doses of chaga extract and found positive effects suggesting it could be used as a natural anti-cancer ingredient in the food. Chaga How Much To Drink? If you are considering chaga and how much to drink, first consider your individual needs. Supplementary medicines can be invaluable for those whose dietary intake lacks required nutrients. Consistent health is a concern for us all, but when planning for a healthier future, we can overdo it. So, how much should I drink? Start with a cup a day and progress from there. If you are targeting a particular ailment then the amounts and times of consumption can vary. As an example, increased antioxidant intake needs may require a lunchtime iced chaga or a coffee substitute. To increase stamina, or help your body recover, chaga can be of assistance after training, or for those with a high level of physical activity and professional athletes. A routine beverage, planned throughout the day morning noon and night may be the best for those with recurring needs. Chaga remains in your system because you are replenishing it on a regular basis. We are all different with varying needs. Consequently, you may only need a warming tea at night to calm your mind after a strained day. We love tea for different reasons, but complementary health supplements, tea or otherwise, should be taken seriously. Health supplements can cover may base from energy levels to vitamin deficiencies. The key is to find something that can be of benefit for your individual concern. Taking any complementary medicine too many times or for the wrong thing, can lead to neglect in the areas that need the most attention. Remember, the body will expel any surplus supplement. Begin slowly if you are new to chaga tea. The same rules apply for any new health supplement. Cha mushroom is a very special naturally occurring substance used to assist in the preservation of good health. As ominous as chaga mushrooms may appear within is an abundance of benefits for us mere mortals. Brewing chaga is easy (readymade teabags make it even easier) simply follow the instructions on your supplier’s product packaging. Dosages can begin at one cup per day, increasing to two and three, with a final cup at night. If you are looking to supplement for a particular reason, consider chaga’s individual qualities. The key is to ensure you are familiar with what chaga brings to the table. If a more energetic day is your goal, then chaga may help with stamina, and revitalization. The night time scheduled tea may not be the best for someone who feels chaga may stimulate them. 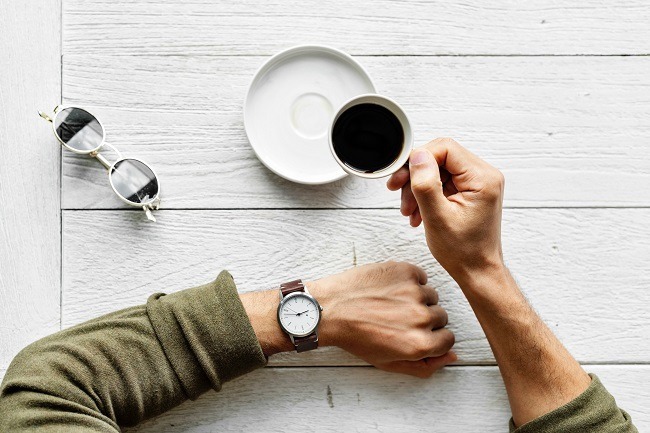 Although caffeine free, chaga can help those with mental alertness issues, possibly interrupting rest time for those susceptible to some causes. Try chaga where others have failed. You may have found your one and only supplement. Replacing all beverages and all daily routines may not be necessary with a supplement like chaga. You may see the difference in your wellbeing with one cup per day, every few days. That’s the fun of it. Experiment with chaga tea. The tea can be added to existing beverages or even baking to provide an added antioxidant and vitamin boost. As a bonus, introducing this tea becomes a part of everyday routines without disruption. 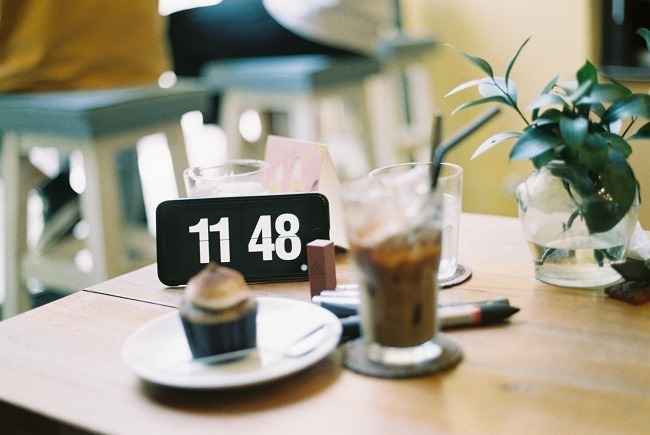 Are the morning hours the best time to drink chaga tea? If you are a nine to five worker, it may be. However, shift workers and those on rotating rosters have differing sleep patterns. There are times where vitamin intake requirements and energy needs will be outside the norm for some people. 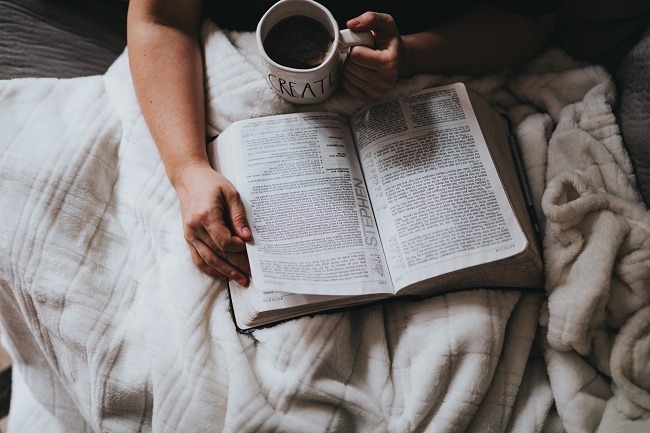 When people need a boost it tends to be in the mornings, before a long day at work, or mid-afternoon when energy and motivation levels begin to ebb. Have a chaga tea instead of reaching for the more common choices of chocolates, and soda. Your body will take the nutrients and assist your body far greater than the poorer pick-me-up choices. So what are other times to take chaga tea? Don’t forget your body will be craving certain nutrients after sickness. 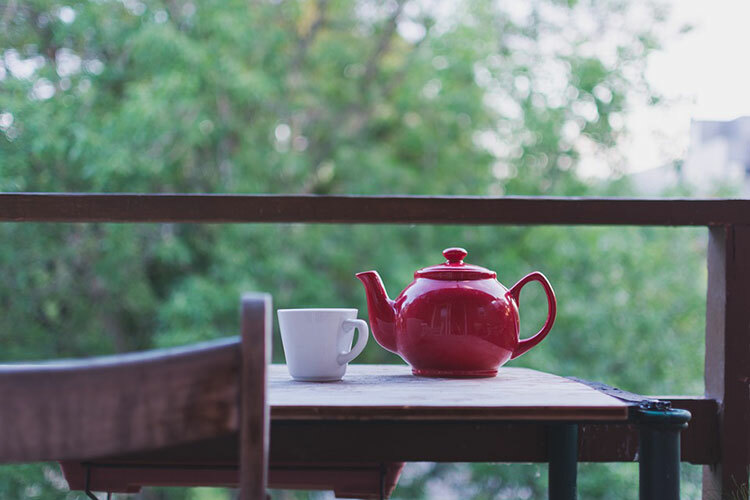 Recovery time may be lessened with the addition of chaga tea into a daily hydrating routine. Consider your individual needs when you first introduce chaga into your health regime. When our energy is depleted we can make the mistake of reaching for the usual caffeine and sugar based sodas and sports drinks. They all have their place, but if long-term health is a consideration, they may not be the best choice. Take chaga any time of the day or night, depending on your needs. Chaga is a great option for overall great health and well-being. Congratulations if you are taking steps to better health. One day at a time, with a key goal is all that is needed. Chaga can help you get there. Tea is favored as a pre-rest beverage for a few reasons. The simple act of a nightly routine helps the winding down process. This, coupled with something pleasurable makes for a restful night. If this appeals, remember it’s important to choose the right kind of tea. Herbal teas still remain high on the list for those wanting a soothing night-time beverage. So, why is rest so important. Consider your bodies inner functions. We overheat, get overly stressed and become physically and mentally tired. There’s no avoiding it, and appears to be the human condition, but there are consequences of not allowing for proper sleep and rest. Our immune systems are amazing things, and help repair and revitalize us every day. This immunity can weaken with continued undue stress. Rest is needed to allow our immune systems to regroup and repair without further activity fighting it. What Can I Include in My Evening Chaga Tea? Choose calming teas that already have a reputation for promoting rest. Some also help relieve muscle tension and headaches. 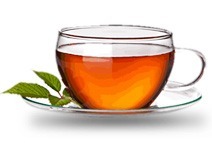 Restful teas can include peppermint, chamomile. Peppermint is documented as a reliever of tension and can help a person relax before bed time. Chamomile has a history as a sleep aid. It is also said to promote a calmness at any time of the day. Insomnia can be a debilitating problem. With the need for rest certainly established, natural remedies can offer solutions. Everyone is different. Some may find herbal remedies such as valerian and the like affect mood and have other negative outcomes for them as individuals. Don’t forget about regular old fashioned chaga tea. Revered for its earthy taste it remains caffeine an excellent free way to unwind all on its own. Coupled with inherent health assisting compounds, this ancient healer could be the way to go. Chaga proposes another alternative: Chaga Mushroom Tea. Side effects, of course, are a concern held by most of us when it comes to consuming new or different alternative health supplements. There is a certain medication that may need to be monitored when taken in conjunction with chaga. If you are not sure, check with your own medical practitioner. First, it’s important to see your doctor regularly for any recommending testing of blood work and vitals. Second, if you are taking medications you may need to adjust both daily and long-term chaga tea amounts. Work with your doctor to develop a plan specific to your situation. Third, to our knowledge there haven’t been long-term dosage studies on the effectives, positive or negative, of chaga. However, there is one case study of a 72-year old woman taking chaga to aid her liver cancer. After six months, some vital signs diminished. Fourth, there have been animal studies showing the benefits of chaga including one that found that continuous chaga extract use in mice promoted energy metabolism. Most advocates of chaga see its popularity growing. More enthusiasts are learning how to make chaga tea. There are a number of wonderful chaga tea recipes. It’s best to be sure your supplier is one who is passionate about the products so as to bring you the best available. It’s also important to consider your long-term dosage. Above, we recommended that it is generally considered safe to consume up to three cups of chaga tea per day: morning, midday and night. This dosage is a good recommendation for long-term consumption as well. Moderation in everything is still a good example to live by. It’s important to not overuse any natural supplement. Our bodies are very good at removing supplements we do not need. If we let out body do its job, it will absorb what we require and dispose of the rest. Reasons behind drinking chaga tea are as different as the people consuming this herbal beverage. From immunity boosting potential to anti-oxidant protection elements, chaga is used for a number of reasons. To say that chaga is versatile would be an understatement. I just wanted to now how much to drink daily. If you are asking for a tea which is made from raw chaga than 2-3 tea cups per would be just fine. If you want to use chaga products with your coffee, than it has to be chaga extract powder. You can’t use raw chaga by mixing it with your coffee. What’s the best way to dry your chaga chunks after use? Thank you very much for contacting Sayan. The best way to dry chunks after use would be to keep them on flat surface under the sun and let them dry naturally. Thank you very much for contacting Sayan. Chaga tea doesn’t have any side effects. Yes it good for lived because it supports liver detoxification. Chaka DOES have side effects…. I just read in a naturopathic magazine that a lady had kidney failure due to “overusing” tea but of course I don’t know how much. Thank you for contacting Sayan Health. You probably referring to chaga mushroom, not chaka. The story which you referring to was published at PubMed http://www.ncbi.nlm.nih.gov/pubmed/23149251. That article indicates that women took 4-5 tea spoons of chaga powder per day. We do not recommend raw chaga in that amount per day to our customers. The abstract doesn’t provide information how exactly that patient was consuming chaga mushroom, was it brewer or was it just consumed per oral/ eaten? 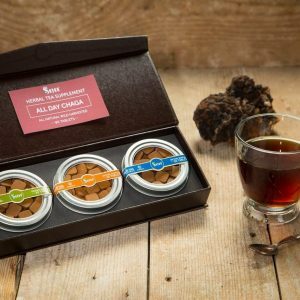 We only recommend brewing raw chaga mushroom. Consuming raw chaga mushroom doesn’t provide any health benefits to humans, you can read about it on our website. According to the researchers this was the first report of a case of oxalate nephropathy associated with ingestion of chaga mushroom powder. As far as we know it is the only case. Still, a rare occurrence should be heeded. It was presumed that the fungus was to blame for her kidney failure. However, the woman had liver cancer for a year prior, and it is unknown if she had taken any other supplements or medicine prior to, or during her treatment for liver cancer, which may have contributed to her renal failure other than just the chaga mushroom powder. In order to be sure that there is such connection between chaga mushroom and oxalate nephropathy scientists would need to do case studies where they have control group in order to make scientific conclusion. Also article says:”This is the first report of a case of oxalate nephropathy associated with ingestion of Chaga mushrooms.” they use word “associated” not caused by. There could be many other reason what cause oxalate nephropathy in that particular woman as well. Since that report there was not any other reports worldwide which had similar conclusion that chaga mushroom is associated with oxalate nephropathy. There are thousands of people who take chaga mushroom on daily basis as dietary supplement and so far only one person who had liver cancer, had oxalate nephropathy. And we could not determine if that particular person took chaga mushroom in proper way. So at this time it too early to jump to conclusion that there is definitive connection between chaga mushroom consumption and oxalate nephropathy. The other article which you are referring to: http://www.ncbi.nlm.nih.gov/pubmed/25576897 only states that “Oxalic acid was found as the main organic acid, with the highest amount in the aqueous extract from Russia.” There is nothing in this article which concludes that oxalic acid is the cause of any side effect or is the reason for developing any health problems in people who consume chaga extract. Some studies suggest chaga has platelet inhibiting properties and may potentiate the effects of blood thinning medications such as warfarin. Chaga may also lower blood sugar levels , thus you need to monitor blood sugar levels when you get intravenous glucose infusion, and for people taking medication for diabetes. Also some people can be allergic to medicinal mushrooms.